Silvia Levenson is a visual artist working in mixed media. She was born in Buenos Aires, Argentina and lives between Lago Maggiore, Italy and Buenos Aires. Silvia was a teenager when the military junta took over Argentina in 1976. Sensitive and curious, Silvia took interest in political efforts against the junta. She did not realize then how vulnerable she was living under the control of this ruthless dictatorship. Political activists, artists, musicians, intellectuals--anyone with independent thoughts--were suspected and controlled. Neighbors were suspicious of each other and when interrogated would turn each other in on the slightest indiscretion. No one was safe outside of their homes. In 1976, Silvia was 19, married, and pregnant with her first child. She and her husband participated in political activities, which put them at risk of being disappeared, like so many of their contemporaries. As time went on, they felt pressure from the oppressive system and, eventually, the family would have to make a decision to stay or leave Argentina. Reluctantly, they left for Italy in 1981, two years before the junta fell. Silvia says it was a matter of survival. They were one of the lucky ones; many of their friends and relatives were disappeared. In December 2014, Silvia found files about her and her ex-husband in the so-called Dirty War’s secret police archives. Until then, she had suspected that while living in Argentina they were under surveillance during the dictatorship, but she could not be sure. The file on her ex-husband was large. It contained details about his movements and the time, dates, and locations of when they moved from one home to another. Silvia also discovered in the files that the secret police were opening her mail, accusing her of writing to international contacts with political implications. She does not remember writing such letters but does recall corresponding with friends in Paris, which should not have caused them concern. Silvia learned from those managing the archives that it was standard practice by the secret police to read the mail of anyone involved in political activities. The reality was that Silvia was an artist who wanted to know and took interest in what was going on in the world—in Argentina and beyond. Now having possession of these secret police files, Silvia intends one day to make an artwork about her discovery. 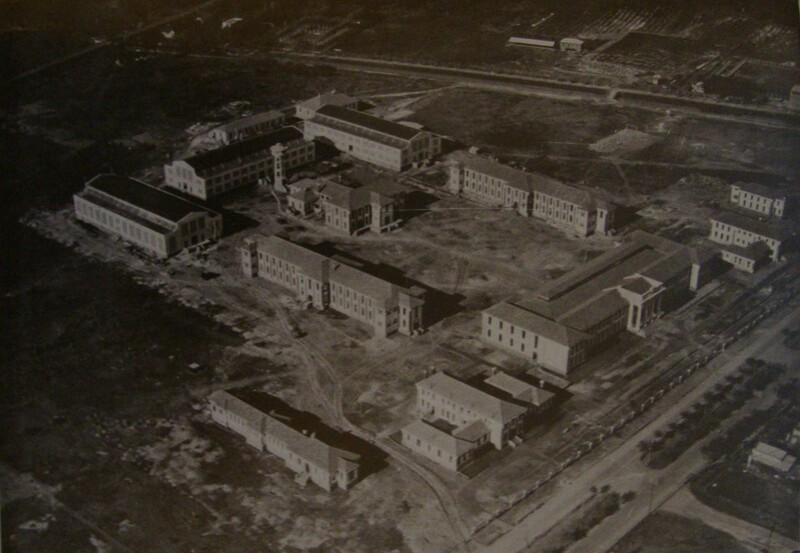 The School of Naval Mechanics, ESMA, was once a major clandestine detention center that was run by the junta’s secret police. ESMA police were tasked with illegally abducting, torturing, and executing citizens of Argentina, some of whom Silvia knew. Of the more than 30,000 forced disappearances in Argentina’s Dirty War, more than 5,000 people were imprisoned in ESMA. Only 150 people survived the detention center. To prevent a new generation of subversives, the military took the babies born to the women prisoners in ESMA and illegally adopted them out to military families and friends of the junta. In 1977, 14 women organized in Buenos Aires to find their missing children. They called themselves the Madres de Plaza de Mayo (Mothers of the Plaza de Mayo). Standing in front of the Casa Rosanda presidential palace in Plaza de Mayo, they publicly defied the government’s system to silence all outspoken opposition. The mothers discovered that their disappeared daughters were giving birth to babies while imprisoned. The Madres expanded their efforts, establishing a second group called the Abuelas de Plaza de Mayo (Grandmothers of the Plaza de Mayo), and started looking for their grandchildren. Since 1977, of the estimated 500 babies missing, the Abuelos have discovered and identified 116 grandchildren. ESMA is now Ex-Esma, or Space Memory and Human Rights, founded by The Argentine National Congress in 2004. Though Ex-Esma is the location of horrific human suffering, it is also an extraordinary place of remembrance and education. On the 34-building complex stands the Museum of Remembrance and for the Promotion and Defense of Human Rights. The museum holds seven houses for each organization that stood up to the dictatorship and upholds democratic and human rights in Argentina. 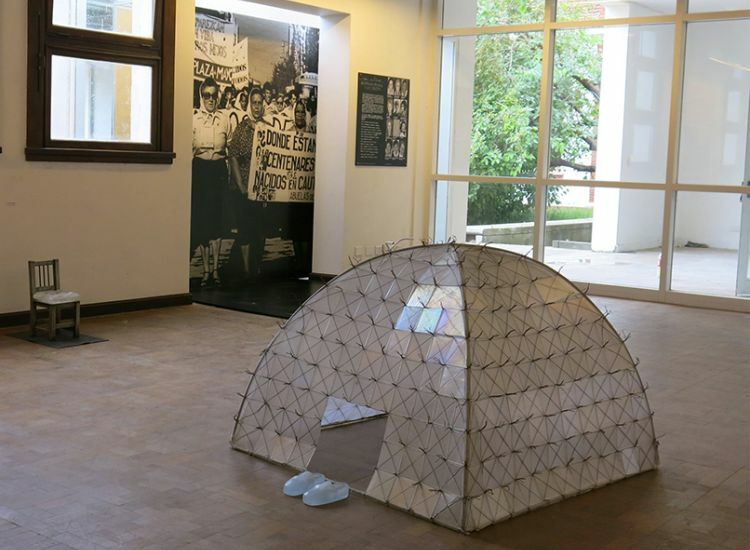 In November 2014, Silvia exhibited "Identidad Desaparedica” (“Missing Identity") in the House for Identity at Ex-Esma. When sharing her experience with us about setting up the exhibit, she described how visitors cry when they come to Ex-Esma because they feel the suffering and remember the people they knew who were executed there. Silvia recalled the strong need to clean because she wanted the space clean before visitors came to see her art. Silvia's "Identidad Desaparedica" is a homage to the Grandmothers of the Plaza de Mayo. Seven artworks in the exhibit describe how identity is denied and then recovered, using glass to represent human fragility and resilience. In the center of the space is a tent representing the children taking refuge. The tent's glass and copper wire symbolize the denial of protection. Displayed on the exhibit's wall is "Recovered Identity" a kilncast glass series of 116 baby clothes that represent the kidnapped babies of the disappeared. This is a visual accounting of the babies born in the secret detention center who were denied the knowledge of their family or their own identity. Silvia explained that for the grandchildren, who are now in their late 30s, they must decide what to do with their identity. Silvia created the series of 116 glass clothes to freeze the moment when the babies were born and to represent their need to heal. Silvia often uses in her art many images from her childhood. One such example is a photograph of Silvia and her older sister Bibi as children standing in Plaza de Mayo displayed on the floor with glass knives suspended above them. Titled "Plaza de Mayo" this powerful concept represents the danger they did not know. Inspired by and passionate about the efforts of the Grandmothers of the Plaza de Mayo, Silvia works to find a balance between expressing the pain of and hope for humanity. She believes that by knowing the truth, it is the only way for society to heal itself. Art can help us respond to the adversities in life and show our resilience. Since exhibiting at Ex-Esma, “Identidad Desaparedica” has appeared in Montevideo, Uruguay (Espacio Arte Contemporaneo), the United States (Katzen Arts Center at American University in Washington, DC and Bullseye Projects in Portland, Oregon), and in Italy (Museo del Vetro di Murano). It will also travel to Barcelona, Paris, and Helsinki . 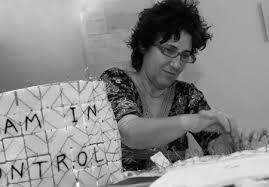 Since 1995, Silvia has won a number of awards for her art. Her most recent is the Glass Venice 2016 award at the Instituto Veneto di Scienze, Lettere e Arti in Palazzo Franchetti on September 26, 2016. Her work is in several permanent public collections in Italy, Germany, and the United States and she has exhibited in various museums and galleries across the United States as well as in Cuba, The Netherlands, Italy, England, Finland, Belgium, Germany, Denmark, Spain, and Korea.